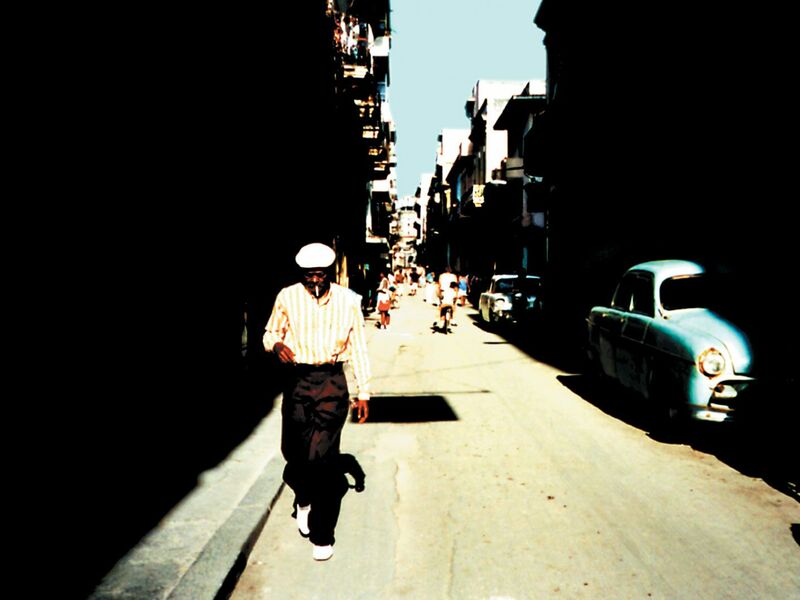 Wim Wenders’s The Buena Vista Social Club extols the lives of the Cuban musicians behind the multimillion-selling album The Buena Vista Social Club. It’s a celebration of tobacco-laden, campesino lore so star-struck with the joy of performance that it becomes less a journey into Castro’s Cuba than glorified concert footage. Wenders is a well-meaning outsider and has nothing but respect for the music of the Buena Vista Social Club though there’s little here to suggest that he understands the profundity of Ibrahim Ferrer’s lyrics. Producer Ry Cooder brings the Buena Vista Social Club together but his presence in the film is a cold distraction. The Cuba shown here remains strangely apolitical. The group travels from Cuba to Amsterdam concert stage and, ultimately, Carnegie Hall. The journey is lively but Wenders remains strangely detached from the material. There’s a painful sense of loss and remorse all over the band’s mournful, jazzy numbers. The closest we get to understanding this subtext are the brief interviews Wenders conducts with the musicians—dilapidated Cuban streets hover in the background, seemingly begging to get in on the action. Wenders is an outsider-looking-in and while this works to the film’s disadvantage, he sweetly evokes the group’s culture shock when they reach New York.